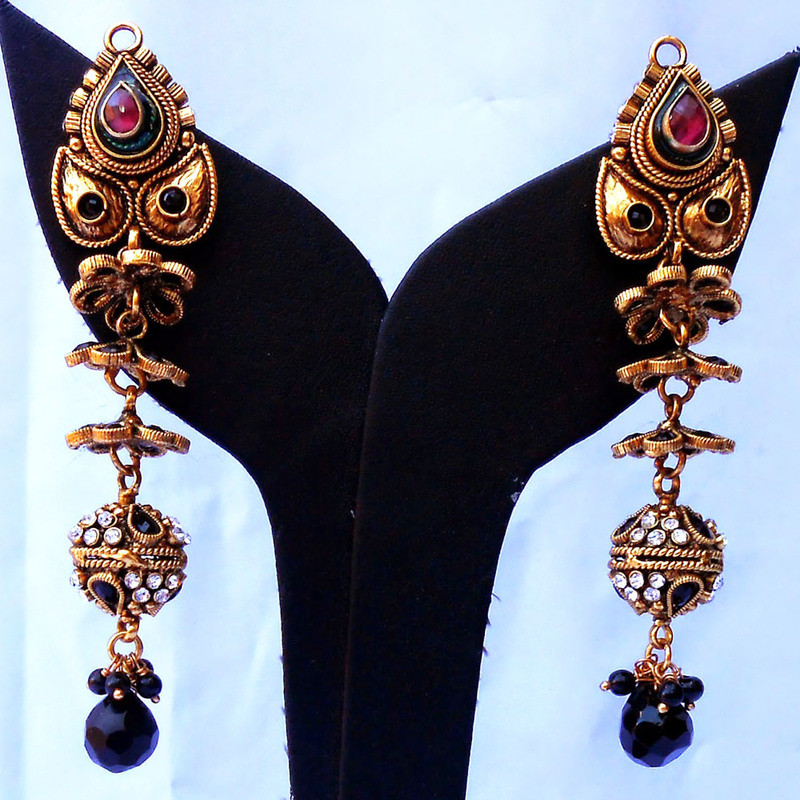 This pair of red & black designer earrings boasts of highly elaborate design patterns, which works wonder in accentuating the appeal of a combination of Read More..gems and beads in rich shades. The teardrop shaped red gem on the stub works well with the brass parts of the same shape below it. The elaborate design continues with successive floral patterns of gold plated brass casing with a circular casing studded with white stones accentuating the appeal. Finally, a teardrop shaped black gem with smaller ones in the same shade to accompany it nicely rounds up the stunning design of this pair. Show Less..